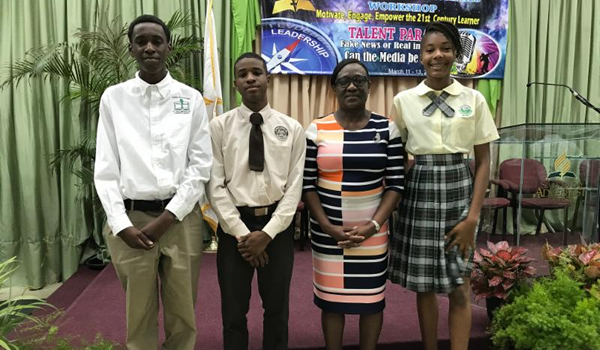 The Caribbean Union hosted its annual Secondary Schools Talent Parade on March 11 at the University of the Southern Caribbean, nestled in the lush Maracas Valley, Trinidad. Fourteen excited students representing eight fields converged at the University for the Much Anticipated Event. The competition comprised of three segments – a 10-minute prepared speech segment, a talent segment and an impromptu speech segment. The moot for the prepared speech was: Fake News or Real Information – Can the Media be Trusted? It was evident that all participants researched the topic well, as they discussed the topic intelligently and provided compelling supporting facts. 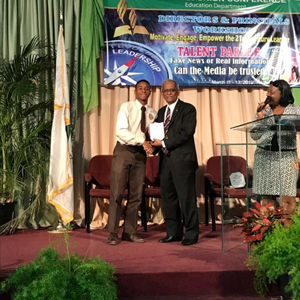 At the end of the contest, Andre Benjamin of the St Thomas/St John SDA School, was awarded first place in the Prepared Speech and Talent Segments. Ultimately, he was awarded overall winner in the Talent Parade. Kajani Reynolds represented the St Croix SDA School while Lia Claxton represented the BVI SDA School in the Talent Parade. The North Caribbean Conference education system comprises of five primary schools, three secondary schools and three pre-schools.